With so many emails flooding your customers’ inboxes, relevant, useful content is the name of the game. Remember, you’re not just competing with other restaurants: You’re competing with co-workers, friends, moms, and overzealous pet-owner friends who send emails from the dog (just me?). So if it’s not relevant, your email is getting ignored or outright deleted. But when you segment, you can hone in on your audience’s actual habits and tailor your content accordingly. 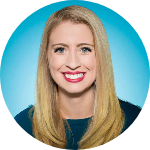 And when done right, that personalized content leads to some serious results—like 73% higher click rates (Avari) and 18 times more revenue (Jupiter Research). Furthermore, 86% of consumers say personalization pays a role in their purchase decisions, according to Infosys. In the world of email marketing, segmentation is one of the best ways to create those sort of personalized experiences, so here are some tips to get started. 1. Collect the right data from The beginning. In order to segment effectively, you’re going to need data. So how do you collect it? Signup forms. While you don’t want to ask for too much information on your signup form (every field you add cuts conversions by 25%, according to Privy), you can include reasonable fields like location to help you ensure you’re sending the right offers from the beginning. When you integrate your email platform with a tool like Venga or Marketing Vitals, you can use point-of-sale data to segment your emails and ensure the right subscribers get the right promotions. For instance, segment out only your big spenders for holidays you know you’ll be booked up, or use consumer habits (e.g. gluten-free diners or wine drinkers) to invite people to exclusive, targeted tasting events. Ask for the info you need. If you need more data from subscribers who have been around for a while, simply explain to them why you need the information. 89% of consumers are willing to share personal info in exchange for clearly defined benefits, according to Microsoft. One of our favorite ways to segment is based on how new subscribers joined your email list. Then, you can tailor an automated nurturing series to fit how they found you. You can then provide a more personal message in your initial outreach. For example, if they gave you their email address in-store, through your Wi-Fi Marketing platform, to get a certain discount, you can then serve them another complimentary offer, because you already know it captured their attention the first time. Or if they found you online, reference the channel they came from —whether it was social media, your website, etc.— to show them you’re paying attention. That little personal touch is likely to pay off in the long run. Nurtured leads make 47% larger purchases than non-nurtured ones (The Annuitas Group). These days, smart audience segmentation goes beyond simple demographics like age or location (though those are important, too!). Instead, segmenting by behavior is the key to creating loyal customers and getting the results you want. 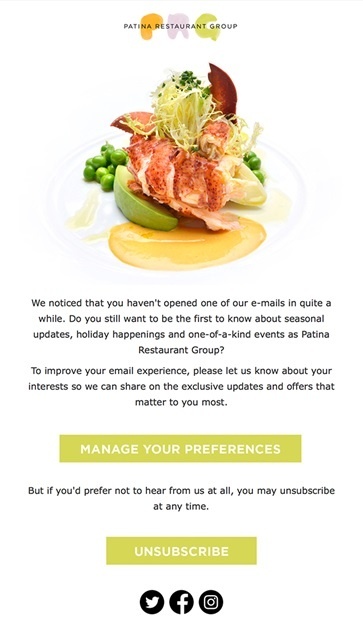 That means segmenting by what they clicked on in your last email, the menu items they’ve purchased…whatever you like. If you’re collecting the data, you can segment by it. Take a look at your response metrics to create a segment of folks who haven’t engaged with your email in awhile. Then, you can create a re-engagement or win-back campaign to bring them back into the fold. 45% of recipients who receive win-back emails read subsequent messages (Return Path). And if it doesn’t work, then don’t be afraid to say goodbye and take them off your list. Your email list (and your results) will be stronger for it. On the other hand, you can also use your response metrics to create a segment of your most engaged subscribers. These are most likely to be your loyal brand fans who will sing your praises—that is, if you give them a reason to do so. And if you get that relationship right, it will create a huge impact: On average, loyal customers are worth up to 10 times as much as their first purchase (White House Office Consumers Affairs). A little social proof goes a long way, so reward these fans with special offers, exclusive content, or exciting news before sharing with your larger audience. They’ll appreciate the insider perks, and you’ll appreciate all the good cheer they spread on your behalf. McKenzie Gregory is the content marketing manager on Emma’s marketing team. A Nashville native, she can be found covering all things email on the Emma blog, debating hyphenation rules, and watching obscene amounts of Netflix without a trace of shame. 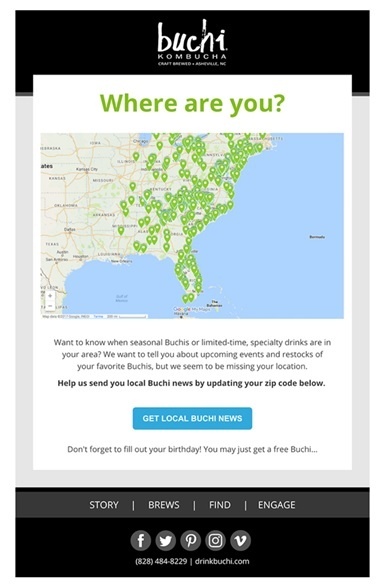 WiFi Marketing Practices for Restaurants and Retail Straight to Your Inbox! "A group of intelligent and well-educated people who guide or try to guide the political, artistic, or social development of their society." News and updates about Bloom Intelligence. The Bloom Intelligence WiFi marketing and customer analytics platform provides restaurateurs and retailers growth tools for marketing and operations.